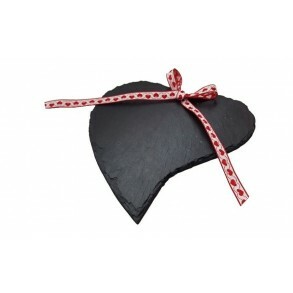 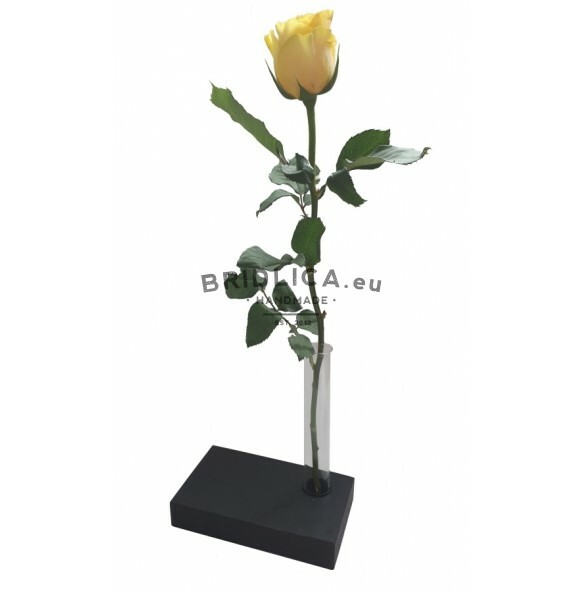 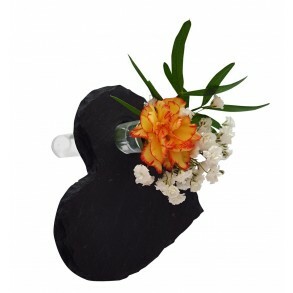 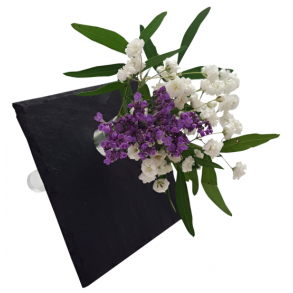 Slate vase 15x9x17 cm type C.
Slate vase is stylish and great accessory for a festive occasions, for example, for wedding table, or representative business meetings. 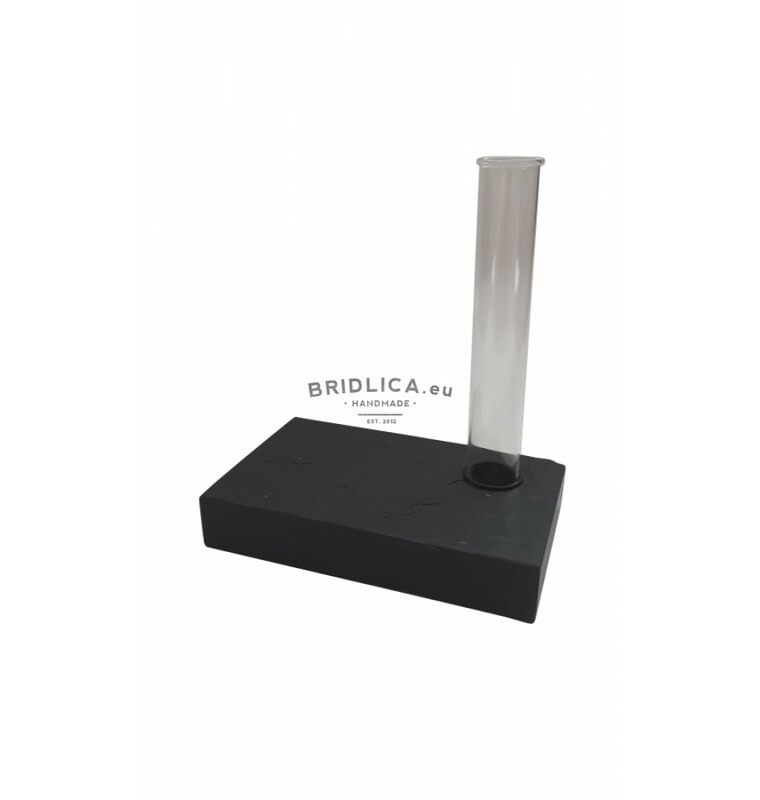 Every single product is hand-made original, made of Spanish slate with a fixed glass tube with rubber rings. Note: There are pads in packaging to protect the table form scratches.